We are pleased to inform that Institut Sultan Iskandar, Universiti Teknologi Malaysia through our subsidiary company ISI Ventures Sdn. Bhd. 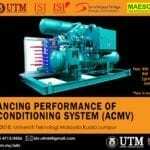 will be conducting the above workshop to address the issues on Enhancing Performance of Air Conditioning System (ACMV). 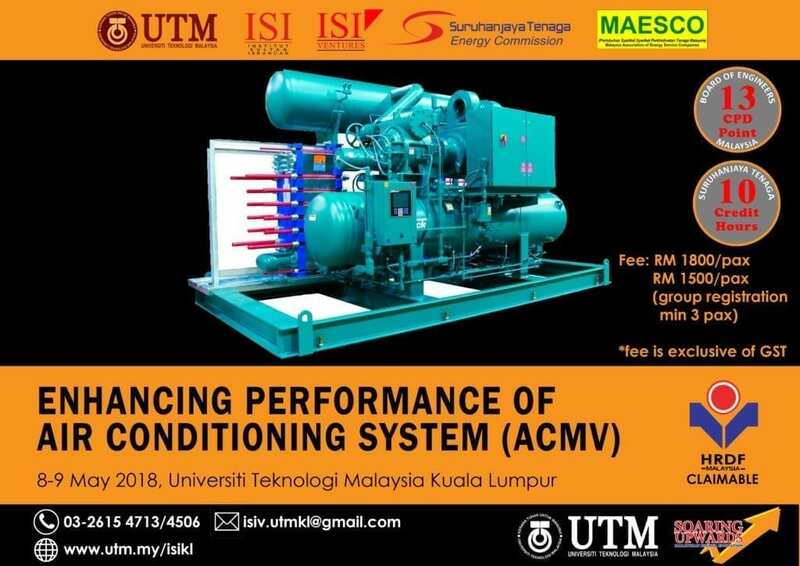 The principle objective of the course is to impart expert industrial knowledge and hands-on skills in optimizing AC system beyond available textbook. As the outcomes of the workshop, the participants be able to apply expect based solutions by your own and enhance energy performance in your plant or building. It’s a rare opportunity to lower overhead operating costs while increasing AC system reliability and making the building more comfortable. This workshop is supported by Board of Engineers Malaysia (CPD points), Energy Commission (hour credit) and MAESCO. The instructors for this event are Ir. Dr. K. S. Kannan and Ir. K. Kumarason, with 30 and 15 years of experience in the field of energy research and consultancy. We are expecting participants from the Air Conditioning Consultants, Designer, Contractors, Maintenance Personnel, Energy Managers, Facilities Management, Technologies, Technician, the Academia and anyone involved in the AC industry. We would like to take this opportunity to extend our cordial invitation to you and your company. We are looking forward to welcoming you in our event. Your kind support and participation is highly appreciated. Please find the attached brochure for your kind attention. Should further detailed information be required, please do not hesitate to contact us.